In August of 1833, Cynthia Ann Parker’s father, Silas M. Parker, took his family on a road trip. He loaded his wife, five children and all their belongings into the wagons and headed south from Illinois to central Texas. The wagon train consisted of 31 families including Parker’s grandparents, uncles and aunts. It was a long journey and not without incident. Parker’s brother James was killed when one wagon lost a wheel, and he was hit in the chest by a piece of wood. The purpose of the trip was the great American Dream: to apply for a land grant. Each head of household was awarded a “headright league” of over 4,000 acres, and the Parkers started calling Anderson County, Texas home. WELCOME TO THE NEIGHBORHOOD The newly arrived settlers were well aware of the potential threat of the local Indians. In 1834, Cynthia’s uncle, Daniel Parker, led the effort to build Fort Parker in Mexia, Texas, between Dallas and Houston. Treaties were signed by the homesteaders and many neighboring chiefs leading to a peaceful coexistence, for a while. In 1836, when Parker was nine years old, several hundred members of the Caddo, Comanche and Kiowa tribes attacked the fort. One Indian approached with a white flag accompanied by enough others to indicate that this was a ruse. Parker’s uncle, Benjamin, tried to negotiate with the attackers to buy time for the women and children to escape. Those five minutes of diplomacy allowed most of them to flee into the wilderness. But Uncle Benjamin, Parker’s father, grandfather and two other men were killed. Parker, her younger brother, a baby and two women were captured by Comanche. Within six years, all the captives had been ransomed and returned to their families except Parker, but that was her choice. As a new Comanche, Parker’s life was difficult. She was abused and treated like a slave until she was given to a couple who raised her as their own child. Parker was young, so she adapted quickly to her new environment, perhaps first out of survival and then out of devotion. She adopted the Comanche name of Naduah (“She carries herself with grace”), and became totally integrated into Comanche society, eschewing her white upbringing. HOME IS WHERE YOUR HEART IS Peta Nocona, one of the war chiefs who invaded Fort Parker, started his own Comanche branch called Noconi. Sometime around 1840, when Parker was barely a teenager, Nocona married her. It was customary for the chief to have multiple wives, but Nocona proved his affection by not doing so. They had three children: sons Quanah (“Fragrant”), a future chief of the tribe, and Pecos (“Pecan”), and daughter Topsanna (“Prairie Flower”). Parker became totally contented with and integrated into the Indian lifestyle and refused more than one offer to return to the Parker family. One time Colonel Leonard G. Williams saw Parker when he was camped with his trading party along the Canadian River. He offered a ransom of 12 mules and two mule loads of goods to the tribal elders to reclaim her and take her home. He was refused, and in subsequent sightings, Parker would run away and hide to avoid being traded back. On November 27, 1860, Chief Nocona led a raid through Parker County, Texas, named after his wife’s family. Parker played a supportive role in the attack, and it’s not clear if she knew the land belonged to her relatives. The bandits attacked three ranches, stole over 300 horses and violated several women. When they were finished, Nocona and his band hid in a bluff near the Pease River. Groups of local citizens tried to hunt down the raiders, but they weren’t successful. It took three weeks for Captain Lawrence “Sul” Ross of the Texas Rangers to organize a posse of over 140 volunteers seeking revenge. On December 18, the vigilantes tracked the natives to their hideout, surprised them and dominated them in the ensuing fight. There were few warriors left in the camp, and Parker’s two sons escaped unharmed. There is debate over whether Nocona died during the encounter or later. Even if he didn’t, Parker would never see her husband again. YOU CAN’T TO HOME AGAIN That admission clinched Parker’s destiny. She and Topsanna were taken back to live with her white family. At first Parker and her daughter lived with Uncle Isaac’s family. Her return was celebrated and she was treated like a hero, but that meant nothing to her. She had to be locked in her room to prevent her from escaping. The Texas Legislature tried to help her with a pension of $100 a year for five years and a league (about seven square miles) of land, but that did not compensate for her anguish. Nothing could appease the grief she felt leaving her husband and sons behind. She had been kidnapped and forced to live among people not of her choosing for the second time in her life. Parker’s brother took responsibility for his sister and niece, moving them into his house. They stayed there until he joined the Confederate Army when they went to live with her sister. Parker led a productive life. She learned to weave, spin wool and sew. Neighbors brought over hides for her to tan, and she created home remedies from the local plants and herbs. She learned to speak English again and was beginning to become literate. All of the activity, however, could not erase the 24 years she spent as a Comanche, and she never assimilated emotionally to her new life. In 1863, Parker got the news that Pecos had died of small pox. One year later, Topsanna died of pneumonia, and Parker fell into a deep depression. Her despondency isolated her and she often refused to eat. 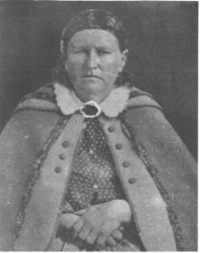 She died in 1870 never knowing that her oldest son, Quanah, had become the last Comanche Chief, and ultimately a bridge between the Comanche nation and white settlers. QUESTION: How do you react when you’re in a situation outside your comfort zone? What do you do to fit in? The lyrics to the Four Seasons’ song “Walk like a man. Talk like a man,” would have been good advice for Sarah Rosetta Wakeman. Since she was a girl, she didn’t come by that naturally. But learning how to do just that gave her a purpose and an adventure way beyond the family farm in Chenango County, New York. By the time Wakeman was 17 years old, she had had some schooling, but it was necessary for her to work as a domestic to help support her eight younger siblings and help her father pay off his debts. Her future wasn’t looking too bright, so she decided that dressing like a man would increase her options. When she was 19 she donned her disguise and worked as a coal handler on a barge on the Chenango Canal. For four trips, she made $20. At the end of her first trip she met some soldiers who tried to recruit her to sign up with the 153rd Regiment, New York State Volunteers. She had three more river trips to think about it and decided that the $152 signing bonus for enlisting was too tempting. PRIVATE LIVES Wakeman changed her first name to Lyons and lied about her age, instantly maturing to 21 years old. The rest of the information on her regimental descriptive roll was true: five feet tall with a fair complexion, brown hair, blue eyes and the occupation of “boatman.” Wakeman’s gender was probably accepted at face value because of the cursory physical examination soldiers were given at the time of enlistment, often nothing more than a firm handshake. Since there were a lot of pre-adolescent boys that edged their way into both the Confederate and Federal forces, it wasn’t unusual to have beardless recruits with higher pitched voices. In corresponding with her family, Wakeman initially signed her letters “Rosetta,” confident her secret would not be detected. She described army life and inquired about life back home. She promised her father she would send money from her $13 a month salary for him to buy food and clothes for the family. Unfortunately, she had to explain later that she had naively lent it to the first lieutenant and sergeant and received a promissory note in return for the whole amount including interest. She sheepishly admitted that she had been taken advantage of by these officers and that she had learned her lesson. About three months into her military career, Wakeman got the measles and was hospitalized for seven days. There didn’t seem to be any lasting effects of the disease, and she often expressed how much she enjoyed being a soldier, in contrast to her life on the farm. She had good clothes, enough food and no responsibilities except to handle a gun. AN EASY JOB In July 1863, the 153rd Regiment moved from Alexandria, Virginia to Washington, D.C. to help protect the capital against potential riots in connection with the newly instituted draft. Wakeman appreciated the spacious barracks, the well water for drinking and the salty river water for bathing. She complained that Colonel Edwin Davis was so strict that the soldiers were hoping to be sent to the front lines, away from his command. Home was feeling increasingly distant, and Wakeman stopped believing she would ever see her family again. This spurred a confession that she had sinfully given in to lots of temptations in the army. She admitted to getting into one fight, and after Stephen Wiley hit her, she gave him three or four good punches in return, putting him in his place. God’s spirit had since worked in her, she believed, and she prayed that she wouldn’t go astray again. FIGHTING THE ENEMY With the new year came new orders, and finally the 153rd was going to see some action. They left Washington on February 18, 1864 and marched to Alexandria, Virginia. From Alexandria they continued on to New Orleans, finally settling at Camp Franklin in Algiers, Louisiana, just across the Mississippi River. Wakeman’s regiment fell under the command of Major General Nathaniel P. Banks. His mission was to establish a strong Union presence in Texas, and he planned to follow the Red River north to Shreveport, near the Texas border. An order went out saying that no women (nurses, laundresses, officers’ wives, etc.) would be allowed to accompany the command except by written authority from Headquarters. The commanding officers still had no idea that at least one member of the rank and file was in direct defiance of that order. Wakeman’s group marched 16 days, over 300 miles, making stops to unload supplies. When they encountered Confederate forces lying in wait, the two-day Battle of Pleasant Hill ensued. On the second day, Wakeman was in the front lines under fire for four hours, until the fighting was halted by darkness. She spent the entire night lying on the battle field listening to the cries of the wounded and dying. Wakeman’s life was spared, but the Federal troops were still in danger. On April 21, 1864, General Banks ordered a forced march totaling over 100 miles back to Alexandria with the enemy on their tails. Two days into the march, Wakeman’s brigade was ordered to lie along the river and wait for the opportunity to attack Confederate forces. As the enemy came closer and surrounded them, the only way out was to fight. Wakeman’s group charged the enemy and defeated them. The next morning, the regiment continued back to Alexandria only to get lost in the woods. Exhausted, they finally arrived there on April 25. Wakeman had proven herself a worthy soldier, but her prediction about not coming home came true. She was admitted to the hospital on May 3 with chronic diarrhea, the most deadly disease of the Civil War. She was sent to the Marine U.S.A. General Hospital in New Orleans on May 7 but didn’t arrive until May 22. Thanks to a Rebel attack which destroyed river transportation downstream of Alexandria, access on the Mississippi River was shut off for over a week. Wakeman was 21 years old when she died one month later on June 19. 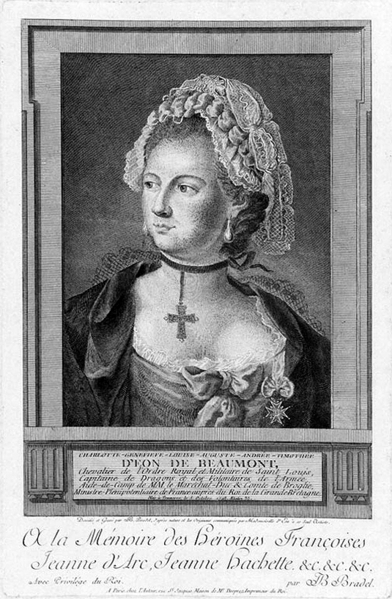 There is no record of any hospital staff discovering her real identity, and she was given a soldier’s burial in New Orleans. QUESTION: In today’s society, is it easier to be a man or a woman? Why? Wakeman, Sarah Rosetta (Lauren Cook Burgess, ed.). An Uncommon Soldier: The Civil War Letters of Sarah Rosetta Wakeman, alias Pvt. 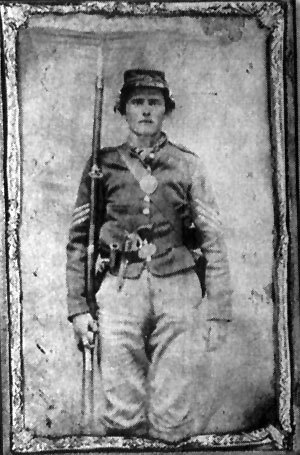 Lyons Wakeman, 153rd Regiment, New York State Volunteers, 1862-1864. Pasadena, Maryland: The Minerva Center, 1994.